Shake It Easy is an e-liquid line produced by French manufacturer Liquideo. It comes in nicely designed glass bottles (15 ml only) together with glass pipettes. Shake It Easy e-liquids feature medium-high VG content and are characterized by a unique, full, rich and milkshake-like flavor. Personally, I usually don’t like any e-liquids with “choco” in their names. I prefer mostly mint and tobacco juices, as well as some interesting fruit blends, but such sweet & dark flavors like chocolate and rum are not for my taste. 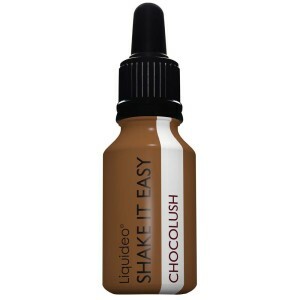 However, things are different with the Shake It Easy Chocolush. The chocolate flavor is not only very authentic, but also not too dashy, meaning that the vapor this one produces is neither too chemical nor too sweet. Together with the outstanding vapor production and the silky, milkshake-like overall taste, this is simply another must-try e-liquid. If you love strawberries and cream, you’re in for a real treat. Like all the other juices from this particular line, Shake It Easy Strawberryfix features a smooth, rich, milkshake-like flavor, and smells just like fresh strawberries with cream, and it’s awesome. This particular juice, however, is probably the sweetest from this line, so it may not work as your daily vaper. Shake It Easy Top Banana was the first juice we tasted from this surprising line. And, to be honest, it was simply the best of the best. As soon as the nice and solid glass bottle was opened, there was this pleasant and rich aroma coming out of it, which immediately took my mind back to my childhood, to a moment in the park where I couldn’t stop sipping a marvelous banana milkshake. This emotional experience continued when I filled up my tank and started vaping it. And then, all of a sudden, a mild note of fried bananas also came in the mix, making the whole sensation simply unforgettable. Since then, this is one of my absolute favorite e-liquids. Thanks to the high VG content, the cloud production, of course, is also great, but it might be a little too sweet for a daily vape. Nevertheless, one simply must try this outstanding, silky blend. This e-juice tastes exactly like it is called just like a delicious, mild vanilla milkshake. Thanks to the relatively high VG content, the vapor production is outstanding. Moreover, the throat hit is also quite noticeable, which is not typical for a high VG e-liquid, and we tested the version with just 5 mg of nicotine per milliliter. Taking into account that this is a vanilla juice, the flavor is not too sweet or harsh, therefore it could even become an all day vape for some tasty milkshake lovers.